﻿Bruce Goodman's "Home sweet home"
Norbert and Denise had just flown out of Bangkok on the final leg of their journey home. They had spent two months touring Europe on the trip of a lifetime. And now, travel-weary, they were looking forward to getting home. 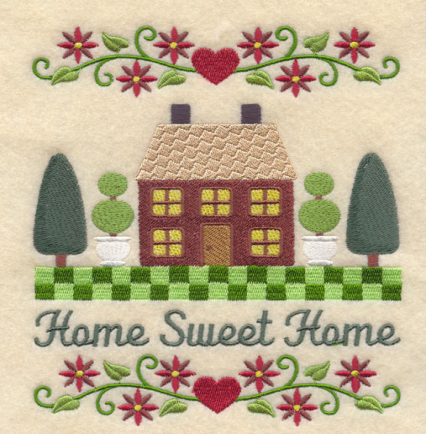 They had loved their trip abroad, but home was home sweet home. One of the great things about being away is often the arrival back home. “And our own food in our own kitchen,” said Norbert. It was back to work on Monday. The life’s savings and credit card had taken a fair beating. It would be good to get the money flowing in again. They hadn’t purchased many souvenirs. In fact, only two things: a large Waterford crystal vase from Ireland, and an unbelievably beautiful clock from Austria. It was better to have spent money on several things than on lots of junk they didn’t really want. “The vase will look great on the table in the foyer,” said Denise. “And the clock in the sitting room,” added Norbert. “Home sweet home!” said Denise. But it wasn’t. One day earlier, during their flight from Bangkok, their house has burned down.